Mahindra two wheelers has launched a very elegant and classy sports bike Mahindra Mojo for the Indian auto market. 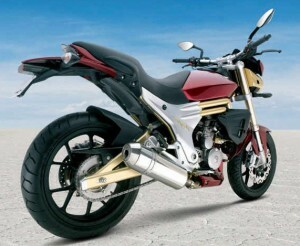 The new Mahindra Mojo is going to thrill the market with this classy new entry. 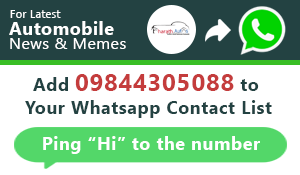 The stylish bike is specially designed to target a large number of young crowds and the elegant bike is said to carry ultimate appeal and sophistication with it. 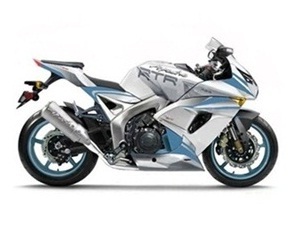 The powerful bike is available in a price range of Rs. 1,75,000/-. The charisma of the new Mahindra Mojo is very impressive and the bike is all set to take the riding experience to the all new level. 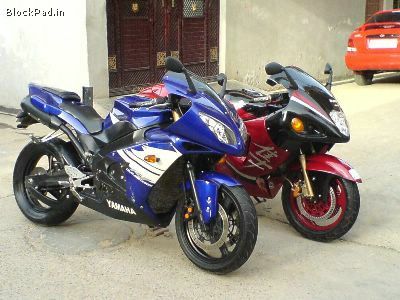 The demand of stylish and sporty looking bike has enhanced and increased in the next generation riders. So now all the companies are designing sporty and aggressive looking bikes. The new stylish Mahindra Mojo is said to cover the empty space which presently exists between 250 cc and 500 cc engine displacements. The powerful bike Mahindra Mojo is powered by 292 cc engine capacity. The 4 stroke engine of the bike is equipped with single cylinder and 4 valves – direct drive. It is also loaded with SOHC valve configuration. The 292 cc engine of the new Mahindra Mojo is also bestowed with liquid cooled technology. 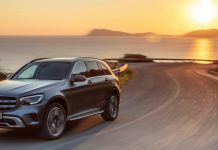 The engine is also furnished with 6 Speed Constant Mesh Transmission. 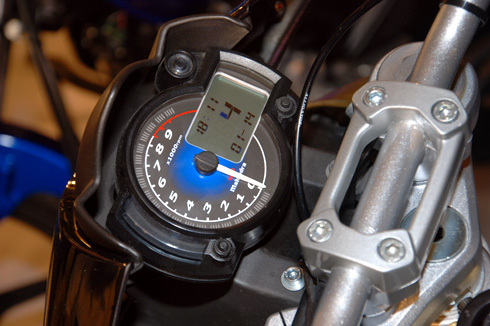 The bike generates an impressive power of 19.3 Kw at 8500 rpm and a torque of 24 Nm at 7000 rpm. The all new Mahindra Mojo is also loaded with wealth of newer generation advanced technology which offers greater comfort and relaxation to both the rider and the passenger. The advanced suspension system and the dynamic braking system of the new Mahindra Mojo offers greater control and stability of the bike. The overall look and appearance of the new Mahindra Mojo is very impressive and dynamic. The stylish look of the bike is very irresistible and eye- catchy. 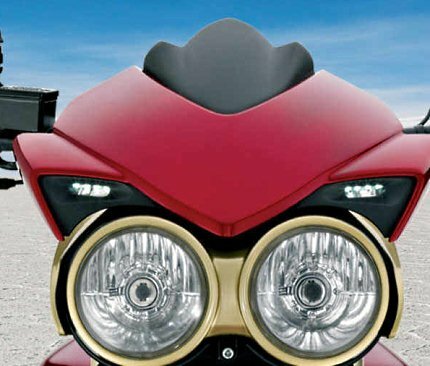 The stylish headlamp of the new Mahindra Mojo looks very different and offers clear vision at night. 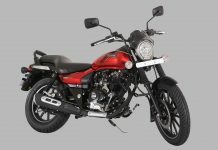 The powerful Mahindra Mojo is very fuel efficient bike and the powerful engine of the bike is the reason for this. The engine with a capacity of 292 cc displacement delivers stunning and amazing performance. The 4 stroke engine of Mahindra Mojo is endowed with 6 Speed Constant Mesh Transmission gears which ensure easy and smooth shifting of gears. 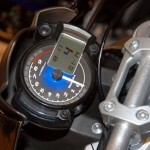 The powerful engine of the bike is expected to deliver an impressive mileage of 35 kmpl. The stylish and new Mahindra Mojo is available in three exciting colors and shades. The shades are Black, Silver and Red. 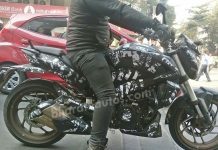 The body of the Mahindra Mojo will be painted with the color at the fuel tank, front tyre cover and at the front portion above halogen lamp. The all new Mahindra Mojo is equipped with very powerful engine of 292 cc displacement. The engine is packed with 4 stroke engine, single cylinder, 4 valves- Direct drive, SI engine which makes the performance of the bike outstanding. The engine generates a power of 19.3 Kw and a torque of 24 Nm which in turn offers zipper acceleration and mind-blowing pick up. 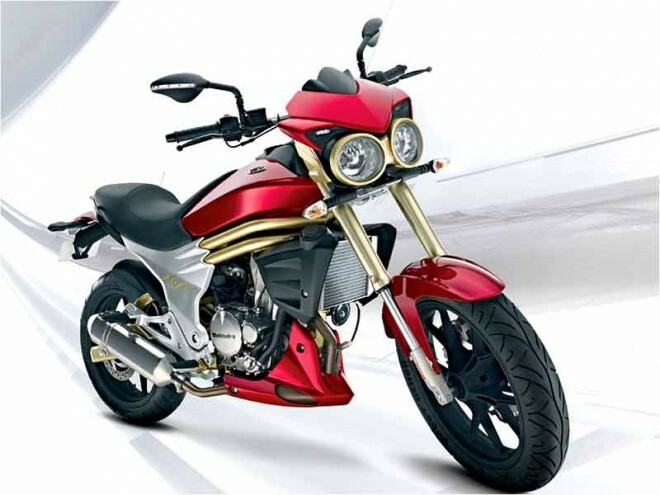 The appearance and look of the new Mahindra Mojo is sure to offer very exhilarating look which is very much authenticated and also offer a classy look. The powerful bike is very impressive and even very eye-catchy and carries a very distinctive and sophisticated appearance. The good length and height of the bike also enhances the overall look of the bike. The bike is very much irresistible in just a single glance and holds your view till it disappears on the road. The front section of the new Mahindra Mojo is very appealing with a classy and elegant front cowl is very stylish and impressive. The specially designed aerodynamic sleek body graphics of the bike is very impressive and offers very sporty and aggressive look. The stylish huge headlamp which is gracefully placed in the front cowl of Mahindra Mojo looks very classy and elegant and offers clear visibility at night and even in bad weather conditions. The stylish headlamp has chrome finish above it which makes it more stylish and beautiful. The stylish big fuel tank of the new Mahindra Mojo appears very impressive and the trendy handlebars of the bike look very sporty and macho. 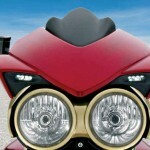 The turn indicators are placed just below the handle bars of the new Mahindra Mojo looks very classy. The broad alloy wheel also complements the overall look of the bike. 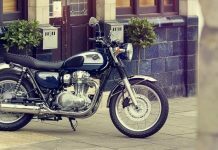 The longer and wider stylish seat of the bike will look very distinct and elegant and will also offer comfortable ride to both the rider and the pillion. The rear section of the new Mahindra Mojo is very different from the other bikes. The classy and trendy rear section makes the overall look of the bike very sporty and robust. The stylish LED taillight and merged in turn indicators is very beautiful. The icing on the cake is the rear section between the rear tyres and the seat. 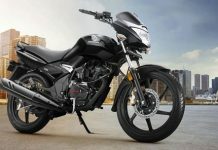 The smart sporty bike Mahindra Mojo is said to be one of the most comfortable bikes in its segment. The new bike is said to be filled with wealth of comfort features that will enhance the comfort level of both the rider and the pillion. The bike is also packed with stylish long and wide seat which will give comfort not only to the rider but also to the pillion and makes your ride great refreshment. The seat will also offer painless riding experience. The stylish side stand is very easy to placed and lift up whenever required. The long and broad foot pegs and foot rest also enhances the comfort level. The overall length of the new Mahindra Mojo is 2100 mm, width is 830 mm and height is 1270 mm. The ground clearance of the bike is 150 mm and the curb weight of the bike is 160 kg. The saddle height of the new Mahindra Mojo is 820 mm. The stylish and dynamic Mahindra Mojo is available only in single model. 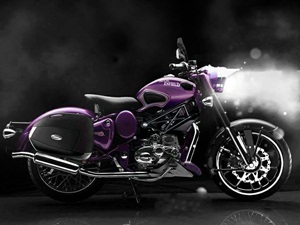 The look of the bike is very irresistible and one cannot stop himself in turning his head when this bike is on road. The bike is packed with massive engine of 292 cc displacement. The powerful engine of Mahindra Mojo is incorporated with liquid cooling technology which will ensure cooling of engine very fast and thus will make the performance of the bike outstanding. The 4 stroke engine of the all new sporty and trendy Mahindra Mojo is packed with Single cylinder, 4 valves and SOHC valve configuration. The powerful engine of Mahindra Mojo is bestowed with fuel injection system which will ensure usage of every drop of fuel and in turn will make this bike very economical on roads. The engine produces minimum vibrations and noise even when it is moving in high speed. 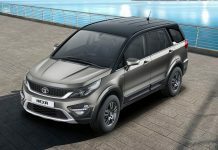 The dynamic engine generates a maximum power of 19.3 KW at 8500 rpm and thumping torque of 24 Nm at 7000 rpm. 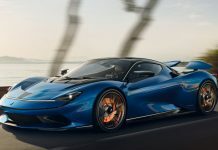 The engine has Electronic Control Unit (ECU) ignition. The all new Mahindra Mojo comes in stylish and classy alloy wheels which offers very aggressive, robust and sporty look to the bike. The tough and bold look of the bike is very much in demand these days and Mahindra Mojo has it. The wheel size of the bike is 17 inch for both the front and the rear. The classy Mahindra Mojo is also available with stylish tubeless tyres which are very broad and fatter. The broader and fatter tyres of the bike control the bike in the case of offroading and event reduce the risk of skidding. The front tyre size of the new Mahindra Mojo is 100/80 – 17” and that of the rear one is 150/60 – 17”. The dynamic and sporty Mahindra Mojo is bestowed with very sound and ultimate suspension system. This suspension system of the bike will help to control the stability and handling of the bike to a great extent and make the riding experience outstanding. The front inverted fork telescopic hydraulic damped suspension and the 120 mm stroke horizontally mounted mono shox with air and hydraulic damping at the rear ensures mind blowing stability. 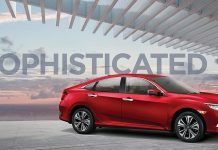 The beautiful suspension system will offer jerk free exhilarating riding experience even in the twisty and bumpy roads. The stylish and trendy Mahindra Mojo is packed with broad wheels and tyres which helps to control the bike to a great extent .The Mahindra Mojo is packed with number of advanced technologies and features. The braking system in the bike is very powerful. The bike can be controlled easily with the brakes available in the motorcycle. The front disc brake of 320 mm and rear disc brake of 220 mm controls the bike very nicely. The bike is furnished with superb suspension system, which gives a greater stability and grip on the road.